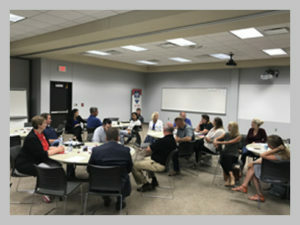 The newly formed Ag Committee of the Siouxland Chamber of Commerce meets on the third Wednesday of each month at various locations. The purpose of the committee is for chamber members to come together on a regular basis to discuss issues, share insight, and promote the ag industry. Download a full calendar of events for this committee. Meet Farm Credit Services of America’s customers and learn about their work serving agricultural producers in America’s heartland. Meet Farm Credit Services of America’s employees and learn about their work serving agricultural producers in America’s heartland.